Moodle's Feedback activity may not get a lot of attention, but there are many interactive uses for this tool within a course from simple quiz creation to class discussions designed to keep students engaged in the learning material. One of the biggest issues with the Quiz activity in Moodle is that the quizzes must be graded. However, sometimes you may want to gauge how well students are understanding concepts without grading them on that knowledge. This type of feedback activity can be used as a pre-test study guide; to measure attentiveness to a guest speaker/movie/field trip; or understanding of a topic covered in class the previous day. The Feedback activity allows you to ask more than one question and do so in an ungraded format. The Feedback activity does not have the ability to know the "right" answer and because of that it cannot tell the student that they know or don't know the material. One way to circumvent this issue is the put the correct answers on a page that is displayed after the student has submitted their feedback (conditional release). One feature of Feedback is the ability to share answers with students by setting the option that allows the analysis page to be shown after submission. When this box is checked, the student will see their responses upon completion along with all others. You can choose whether the responses will be anonymous or with user names. This activity could be used to gauge/share the most meaningful topics of a discussion (ex: what are three take-aways from the chapter); to nominate officers for an election; to pull out mistakes found in a text or sentence structure; to list Web sites with supplemental material, etc. Feedback can be used before or after class to facilitate discussion. If your goal is to flip your classroom, create a Feedback asking students to respond to a question, video or other meaningful content before coming to class. This will give students time to respond and prepares them for a guided discussion in class because they know what the topics will be ahead of time. 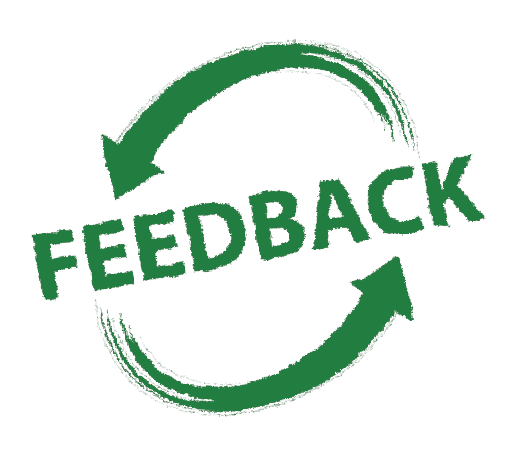 Feedback can also be used to continue or redirect the discussion after the class is over by restating the same question from class in another way. By allowing students to create a class survey or produce class content within the Feedback activity you are empowering students to teach each other. Begin by adding a Feedback activity, naming it and adjusting the desired settings. Once saved, return to the course page, and with editing still on, select the last icon next to the Feedback activity (a person with a plus sign). Choose the instructor role and assign the student. The student will then be able to click on the activity and add questions and access the analysis page to see responses. Use the Feedback activity to assess students perceptions of an activity, assignment, or website that you have added to the course. This is helpful if you are trying out something new and would like to gauge how your students feel about it in order to determine if it was worthwhile, easy to use, and/or useful from the students' viewpoint, etc. If you would like assistance setting up a Feedback activity, contact the ITRC or view our Feedback Tool handout.